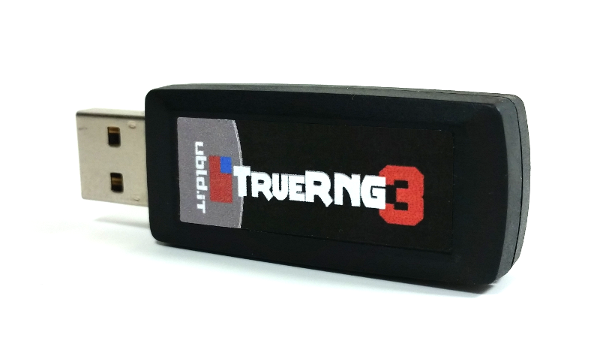 The TrueRNG v3 is our next generation Hardware Random Number Generator. 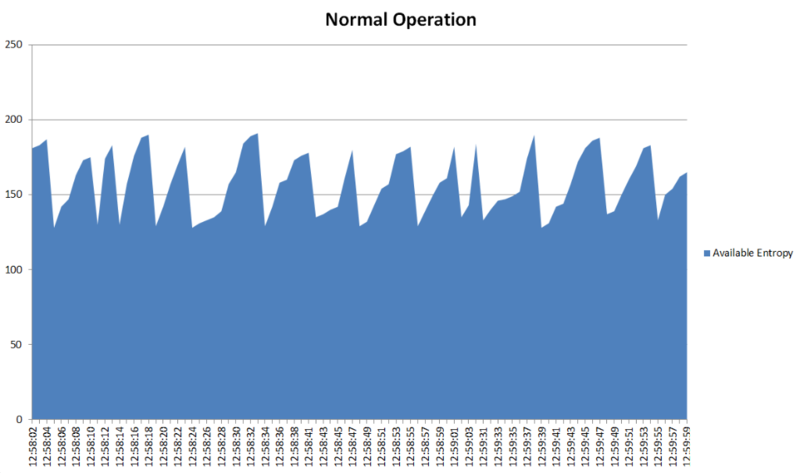 We have optimized the design to increase the speed to over 400 kbits/second while improving the whitener and entropy mixing algorithm. 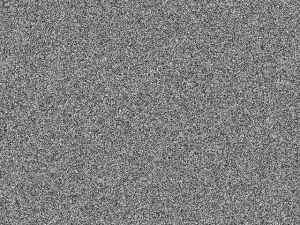 The new entropy mixing algorithm takes in 20 bits of entropy and outputs 8 bit to ensure that maximum entropy is maintained. The algorithm uses multiplication in a galois field similar to a cyclic redundancy check to mix the ADC inputs thoroughly while spreading the entropy evenly across all bits. The previous version (TrueRNGv2) has some very minor bias (<1e-6) when averaged over 100′s of megabytes which has no significant effect for cryptographic use but has caused some questions when it shows up in long statistical tests. The new TrueRNG v3 algorithm uses a more advanced whitening technique to reduce the bias below levels where it can be measured reliably. The TrueRNG Hardware Random Number Generator uses the avalanche effect in a semiconductor junction to generate true random numbers. 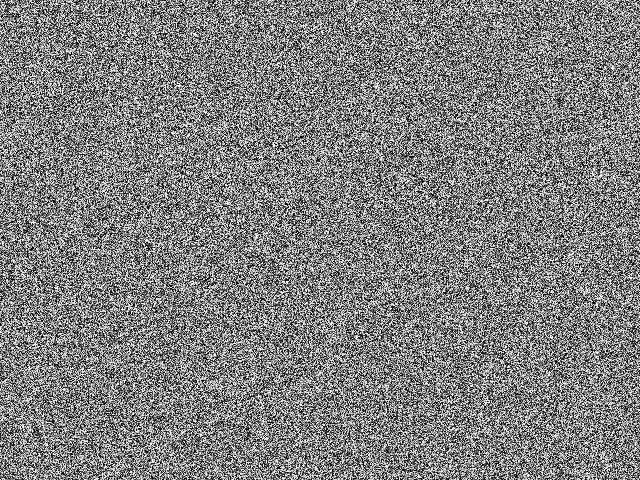 The avalanche effect has long been used for generation of random number / noise and is a time-tested and proven random noise source. The semiconductor junction is biased to 12 volts using a boost voltage regulator (since USB only supplies 5V), amplified, then digitized at high-speed. The digitized data is selected and whitened internal to the TrueRNG and sent over the USB port with more than 400 kilobits/second of throughput. 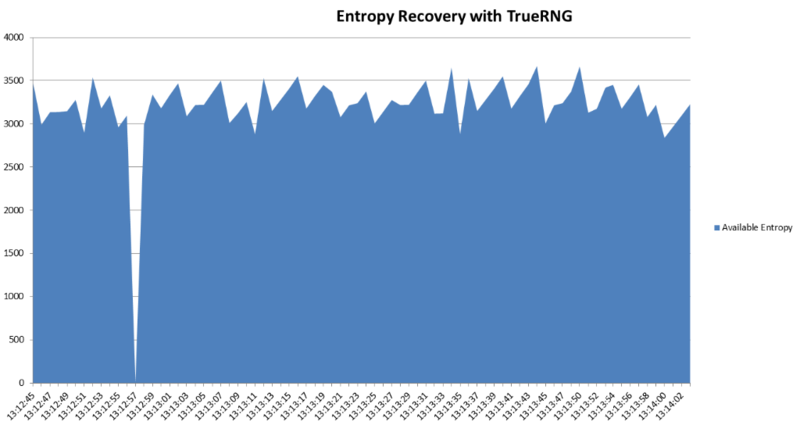 A true hardware random number generator (HWRNG) will provide a high-speed source of entropy to the Linux kernel which minimizes blocking and delays while maintaining security. Most of the HWRNG that are available offer high security at a high cost. If you are a bank, financial institution, or run a huge e-commerce site, it may be worthwhile to invest several thousand dollars in a HWRNG, but this this not economical for most individuals and small enterprises. The TrueRNG is a low-cost USB Hardware Random Number Generator that provides more than 400 kilobits/second of true random numbers. 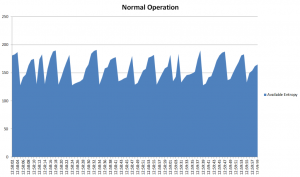 This will refill the Linux entropy pool almost instantly and eliminate unnecessary blocking / delays.